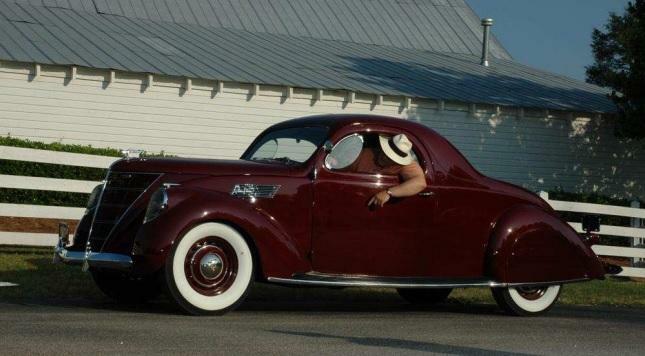 I first met Cecil when he started the restoration of his beloved 1937 Lincoln Zephyr coupe. I helped in the sourcing of several parts for the car and also provided some opinions as to what was correct or not for the restoration. He wanted everything about his Zephyr to be perfect, the same way he lived life. He always had a desire to have a "Big Lincoln" and he finally made that happen with the acquisition of his LeBaron Convertible Roadster. He was excited to get his new garage and started dismantling his toy for the impending restoration. Sadly he will not have the opportunity to see his much anticipated project to the finish line. Cecil was a "gentle giant" among men. I knew him on the basis of our shared love of Lincoln automobiles but I saw what a stand up person he was after the passing of his first wife and his children's mother. Later on I met the new love of his life, Andrea, a real breath of fresh air, and I was happy for both of them that they had found each other. While I would see them once or twice a year it was obvious that they were very good for each other. I, along with anyone else who knew Dr. Cecil will certainly miss him. To his boys I extend my sympathies for your loss and to Andrea I say that you were lucky to have spent eight years with him and unlucky to have your future together taken away so suddenly. May we all remember the good times with Cecil and wish him well on his next journey to Lincoln Heaven. Rest in peace Brother!!" Thanks, Ray, for your eloquence in this very sad time. information. One day he sent me a note saying he had some dash trim he was removing from his car (not correct he said for his but the same as mine) and would send it to me. Unbeknown to him I was missing a few pieces. Being very grateful I offered to send whatever he felt fair including shipping. The answer was "they are a gift". Today I am sad. My kindest regards to his family. Cecil was actually a "young" guy of 56. Met Cecil at a Lancaster Parts Meet several years ago when the meet was held in another hotel in Lancaster. Truley a giant of a man in every sense. Had dinner with him one evening and such privledge to have know him. He will be missed. Sad day indeed.